June 26th of every year is celebrated in Thailand as Sunthorn Phu day (วันสุทรภู่). Sunthorn Phu is Thailand’s best-known royal poet in Rattanakosin era (สมัยรัตนโกสินทร์) in the reign of King Rama II. Every Thai student has to learn his poem at school. On Sunthorn Phu day, the students take part in writing competitions and listen to his poems. I still remember his Phra Aphai Mani poems (กลอนพระอภัยมณี) I learned when I was 14. It is about two princes get banned from their palace by their father. During their journey, one of the brothers, Phra Apai Mani, is seduced by a beautiful woman who changes into a sea ogress (นางผีเสื้อสมุทร). Later he fell in love with a mermaid; they have a son named Sudsakorn (สุดสาคร). (He was born at Ko Kaeo Pisadan without ever seeing his father. When he grew up he starts his adventure to seek his father). The sea ogress becomes jealous, and goes after them. His brother Sri Suvan (ศรีสุวรรณ) and a couple of warriors want to rescue him. If you have been to Samed island, I am sure you have seen the statue of Phra Aphai Mani sitting by the mermaid near Sai Kaew beach (หาดทรายแก้ว), and the statue of the sea ogress in front of the main pier. 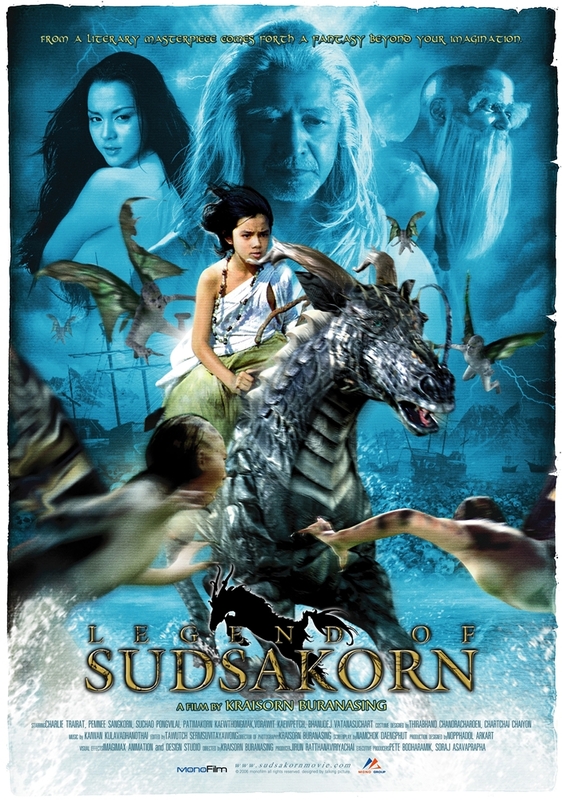 There are a few Thai films based on this popular legend, including The Adventure of Sudsakorn and the Legend of Sudsakorn. There is also a Thai comic series with the name Apaimanee Saga. Phu left behind a legacy of poems that have become famous over time because of their description of Thai history. In 1986, the 200th anniversary of his birth, Phu was honored by UNESCO as a great world poet. 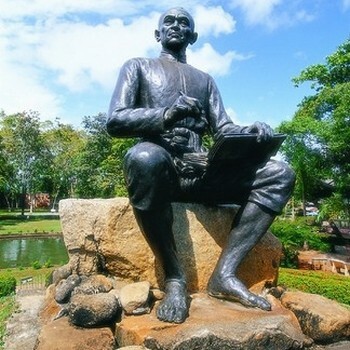 A statue of Phu was erected in Klaeng District (อำเภอแกลง) , Rayong Province (จังหวัดระยอง), the birthplace of his father. 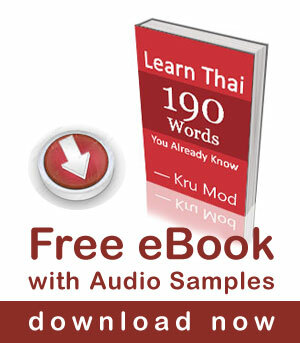 How much of the meaning is lost in translation when reading Thai peotry in English ? My guess is most of it . I am sorry I didn’t have a chance to put some poems in my post on the day I wrote this article. Please see the additional poems. Thanks for the link. It is difficult to find his works translated. One day I hope to read Sunthorns poems in Thai.